Champions League football bettors have a feast of action coming up between 13 February and 14 March, as the last 16 battle it out for a place in the quarter-finals. The opening round of games features Tottenham, who face an Italian job away to Juventus, and Manchester City, who'll brave the Swiss chill away to Basel. With Juventus and City fancied to land the odds, here's why they make a tempting mid-week Champions League betting double with top online bookies. Italian Job a Step Too Far for Tottenham? Turin is never an easy place to travel to for an away fixture in Europe and last year's finalists Juventus are sure to offer a very stern test for Tottenham. The Italians appeal at 6/5 with Paddy Power to take the lead into the second leg at Wembley. Of course, there is the argument that the London side's European form this season has been excellent, matching almost any side in the competition. Indeed, betting on Tottenham in the Champions League football betting markets has been rewarding so far. Their five wins and one draw during the Group stage included a 1-1 draw away to Real Madrid, a 3-0 thrashing of the Spaniards at Wembley and an impressive 3-1 victory away to Dortmund. However, their away form against the top Premiership sides is less impressive, having been beaten by Manchester City, Manchester United and Arsenal. The results against Madrid do take the eye, but Ronaldo and company have been hard to predict this season, either thumping sides or frequently being distinctly average. Either Tottenham are a different animal in the Champions League, or the results against Madrid are flattering. Despite some injury issues, Juventus are on sparkling form. It's true that their Champions League campaign started out horrendously, going down 0-3 to Barcelona at the Allianz Stadium. But they showed that was a blip, finishing the group with three wins, two draws and one loss – including a creditable 0-0 draw at the Nou Camp against Barca. Juventus have lost three games in Serie A and the Champions League combined and are unbeaten since November. The side are weakened by the apparent loss of Blaize Matuidi with a thigh strain, while the question marks around talisman Paulo Dybala and centre-back Benedikt Howedes could be a boost for the visitors. 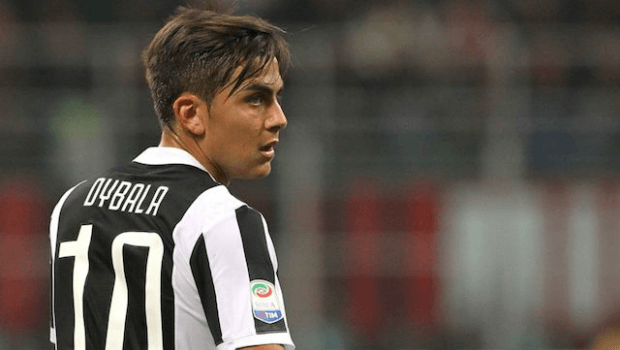 Nevertheless, Juventus give the impression that they're growing into the season and their recent 7-0 win over Sassuolo only adds to the inkling that Tottenham, with potentially suspect away form against top sides, are meeting them at just the wrong time. While no one left in the Champions League betting can be taken lightly, in drawing Basel Manchester City probably couldn't have asked for a much easier tie at this stage. City topped their group by winning five games and losing one game 1-2 away to Shakhtar Donetsk. Looked at in context, though, there's no shame in the loss, given Donetsk away is one of the toughest destinations in the Champions League. The Ukrainian champions won all three group games at home, also beating Napoli 2-1 and Feyenoord 3-1. The fact that Italian champions and current leaders of Serie A, Napoli, were eliminated from the group marks it down as a very strong one. Basel's home record is nowhere near the might of Shakhtar's and City will be looking to make life easy by securing a first leg advantage at odds of 4/11 with online bookmakers. Basel have in fairness displayed some aptitude against some decent sides this season, most notably when defeating Manchester United 1-0 at home back in September. Yet United comprehensively beat them 3-0 at Old Trafford in November and they lost 1-2 at home to CSKA Moscow between the United games. They put the group's whipping boys, Benfica, to the sword twice, 5-0 at home and 0-2 away, but the Portuguese outfit lost all six group games in what was a torrid campaign. Basel sit second in the Swiss league, having lost four games and while they'll be no push over for City, Pep Guardiola will be demanding nothing less than victory for the English Champions elect. While many Tottenham fans will be lumping on their team to fly the flag for England on 13 February, the trip to Turin looks one shrouded in tests of resolve against a side who are coming into form at just the right stage of the season. Equally, Basel fans will need more than an icy Swiss night to stop the new money of Manchester City cashing in on first-leg victory. If Juventus and Manchester City don't appeal for win singles, then the value can be boosted by backing the double with William Hill at odds of 7/4.